Pendant Measures 28mm (1 1/8") x 16mm (5/8") without bale. 30mm long with bale. Approximate gram weight is 1.25 grams. 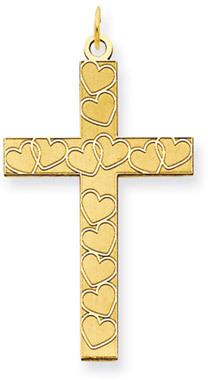 We guarantee our Large Laser Engraved Heart Cross Pendant in 14K Yellow Gold to be high quality, authentic jewelry, as described above.